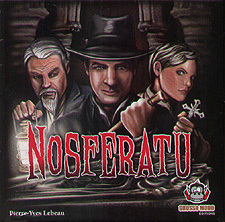 With the help of Renfield, his partner, Nosferatu the Vampire will try to bite his victims before dawn... But the hunters will fight fiercely to unmask him, knowing that he is among them! Teamplay, tactics and bluff create a tense atmosphere. Each new game is always different from the previous ones.